The National Insurance Crime Bureau (NICB) has released their 2010 list of the 10 most stolen vehicles in the U.S. Considering their popularity, it is surprising the list contains just one SUV model, the 2002 Ford Explorer. 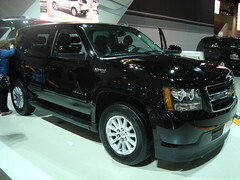 The Explorer was the most stolen SUV of 2010 and the 9th most stolen vehicle overall. Perennial theft targets remained on the list. The most stolen car was the 1994 Honda Accord followed by the 1995 Honda Civic. One change on this year’s list is that American makes topped foreign ones (6 vs. 4) for the first time since 2002. No European models were on the list. The list shows that older cars are the most popular theft targets. Most of the cars on the list are between 10 and 20 years old. Older cars are less likely to have alarms and technologically advanced anti-theft devices. This is a factor to keep in mind when comparing used SUVs vs. new SUVs. This report differs rather significantly from the study issued earlier this year by LoJack, a theft prevention and auto recovery company, called its 2010 “Vehicle Theft Recovery Report”. The LoJack report had only five of the 10 models on the NICB list although the Accord, Civic, and Camry were also the top 3 on this list. 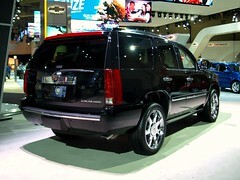 LoJack found that the Cadillac Escalade was the most stolen SUV model followed by the Chevy Tahoe. The Ford Explorer was not in their top 10 list. Vehicle theft plays a significant role in auto insurance costs. Thus, if you are concerned about SUV theft, you may want to steer clear of older model Explorers and Escalades and Tahoes. They are the most stolen SUVs. Have you ever had an SUV stolen?